I just learn about the metering mode and focus area on youtube. But i am wondering about are they on at the same time? I got a sony a6300 camera. Metering is how your camera measures the amount of light in the scene and recommends and/or sets the exposure level of a photo. It's about brightness. Autofocusing is how your camera measures the distance between the camera and the subject appearing in the area of the frame That you've indicated you want it to focus upon (or the area of the frame it guesses you want to focus on if you allow it to automatically select the AF point). It's about setting the lens' focus distance. With many advanced cameras, several different metering modes are offered. Which works best for a specific situation is dependent upon the particulars of that situation. For example, taking photos in a dark theater with a few brightly lit actors in only parts of the scene requires a different metering strategy than taking landscape photos with a very bright sky and a less bright landscape. Likewise, many advanced cameras offer several different ways of telling the camera what should be focused upon. Which works best depends on the situation. Taking a still life photo from a tripod mounted camera has different AF requirements than tracking a running athlete during a multi-frame burst. Some cameras even link the metering system and the AF system in certain ways. For example, they might heavily weight the metering in the area of the frame that is selected as the AF point and place less importance on the other areas of the frame. But I am wondering about are they on at the same time? They can be, and most often are. But advanced cameras can be set up to control each using different controls so that metering and autofocus can be done independently of one another. Again, the situation in which one is shooting will, to a large part, determine when this is optimal and when it is not. That is what I am confused about which one is on and how to turn them on and off or are they all on at the same time. Which is on or off, and when, depends on what settings you have selected. Your Sony α6300 Manual should be very helpful in explaining which settings do what. Let's take these things separately, first up, the metering mode. But, before we can get there, you need to understand exposure. Photography is the capturing of light, and as you know, any given scene will vary in the amount of light present. So, we use 3 controls to vary the amount of light that we let into the camera for capture: Aperture, Shutter Speed, and ISO. In Manual mode, you set all three of these. The camera's light meter will then report back to you whether your chosen exposure is under exposing, over exposing, or right on the money. Now, how does the meter judge? This is where metering modes come in. Most cameras have a few different options from Measure the Entire Scene to Measure the Entire Scene but measure the center more (center weighted average) to Only Measure the Light in this tiny spot (Spot metering). Let's say you don't shoot manual, but instead choose Aperture Priority. In this case, you set the ISO and Aperture, and the camera will need to choose the shutter speed. That could be a different speed based on the metering mode that you've chosen - but in the end, it's still the camera judging the exposure based on the meter mode that you've told it to use. There are reasons to choose any of these three modes, and if you don't know which you should choose, ask a separate question. Now, onto Focus Area. This one is simply - it's the area that you're telling the camera to focus on. Most cameras will default to obtaining focus and exposure while you half-press the shutter release button. When doing this, the camera obtains focus, meters the scene, and chooses exposure (if using auto modes). Most advanced photographers gravitate to separating these functions out, so that a half press of the shutter does one function (autofocus or exposure lock) and another button, typically at the back of the camera, does the other function. Separating autofocus from locking an exposure has a lot of benefits, all of which would make for, you guessed it, another question. It depends on the settings. If you use the "green" mode (full auto) they are on at the same time. But you can set meetering and AE-lock (exposure) and AF-lock (focus) on a different buttons. Some (like me) have back butto focus, and in that case I don't meeter at the same time as focus. If I switch my camera to A or S I have a AE-lock button I can use. Note the "can". 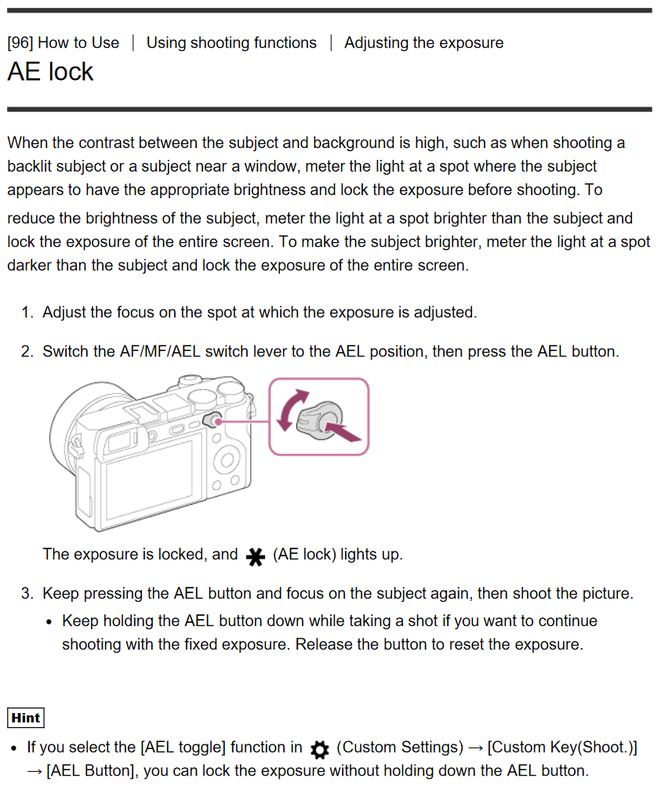 If I don't use the AE-lock button halfpressing the shutter button will meeter and lock exposure settings. ^^This is DSLR and mirrorless ILC. If "camera" means point and shot to you then I can safely say that they are on both at the same time since smaler cameras don't have as many settings and options. Not the answer you're looking for? Browse other questions tagged focus metering models or ask your own question. 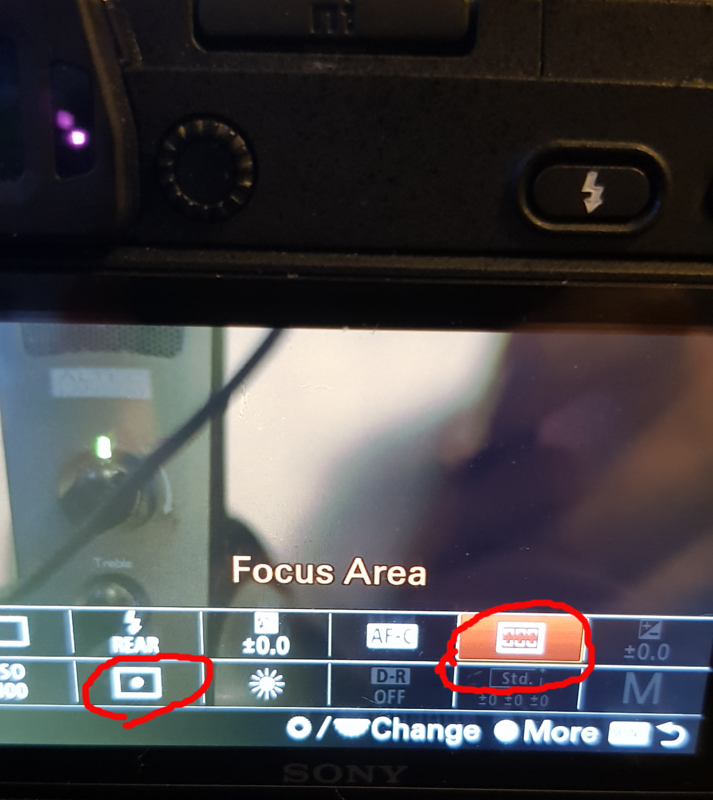 What is the difference Focus mode and AF-Area mode? Do focus area modes matter if shooting in manual focus? Why are gray cards, and not red or other colour, used for camera metering? Does making a focus area smaller in spot metering help with focusing?